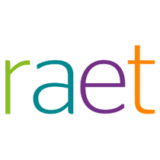 Raet specializes in HR cloud solutions and related services. Our solutions keep things simple and create unity to put managers and HR professionals in over 10,000 organizations in control of their HR affairs day in, day out. In addition, we enable 1.6 million employees to arrange their own HR matters through one integrated system, from any device, any time and any place. Raet has been active in the Netherlands since 1965 and currently employs over 1,100 staff. The company is a growing player internationally and operates from 14 countries all over the world, including the Netherlands, Spain, Belgium, Peru, Chile and Argentina.